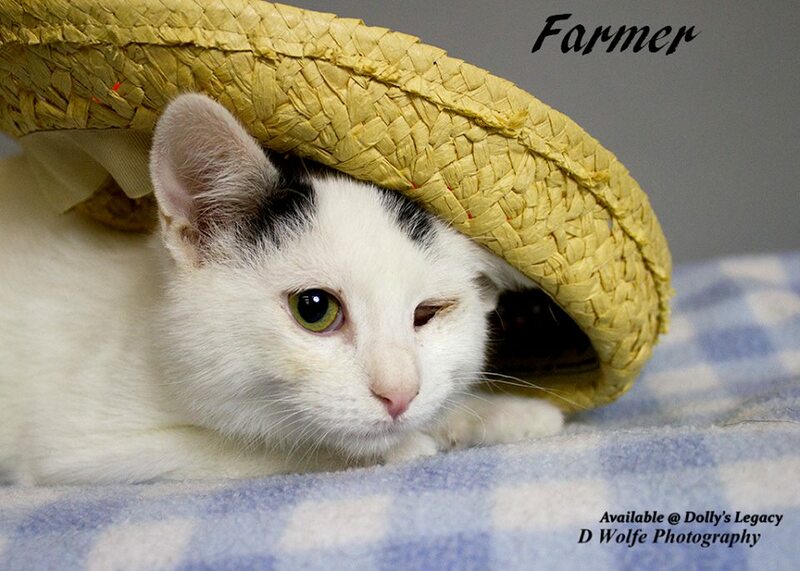 Description: Meet FARMER! He loves other kittens & loves to cuddle with his foster mom. He is loving & his purr machine is always running! 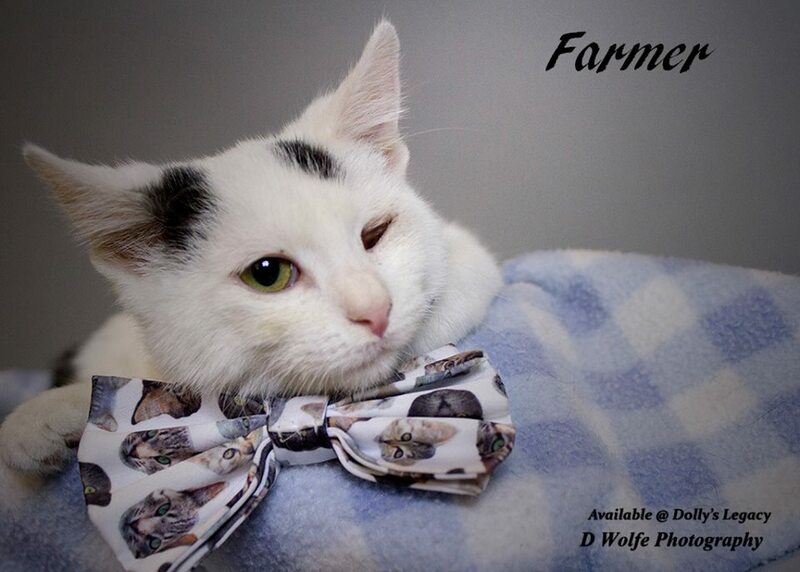 Farmer was rescued with 9 kittens from a farm where they were suffering from neglect & were very ill. It was reported to us that the owner was shooting them as a way of "population control". When Dolly's Legacy took them into rescue they were so sick they required hospitalization. We have gotten them all the care they needed to get them well on their way to being healthy, happy kittens. They are blossoming in their foster homes, loving the attention, loving a warm place to be with full bellies. We are so glad we got to them in time before their lives were taken too soon. 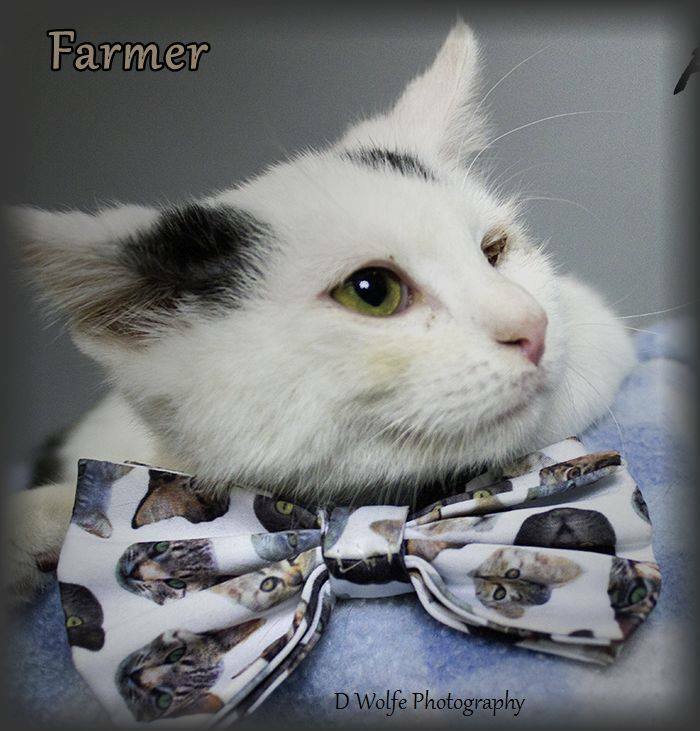 Farmer was born approximately August 2015. He is neutered, vaccinated, microchipped, given flea/tick preventative & dewormed. 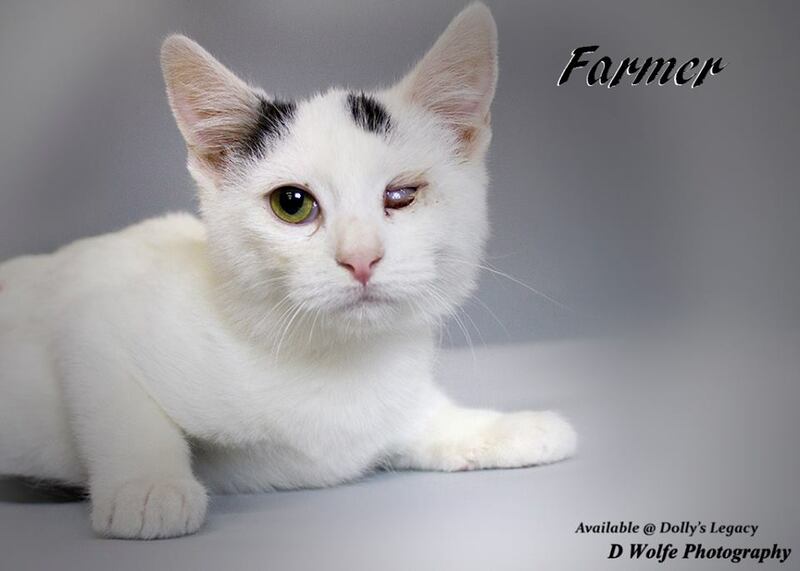 Sadly his left eye was so badly damaged from the neglect he suffered as a baby that it had to be removed. BUT...it doesn't slow him down one bit & he is happy not to have to fuss with it anymore. Adoption fee is $100 . For adoption guidelines and to submit an application, please go to this link: http://dollyslegacyanimalrescue.org/adopt/ We are a foster-home based rescue group and do not have a facility. The first step is to have you complete our online adoption application. All adoption appointments are scheduled after your application has been approved. We are 100% volunteers & will generally reply within 3 days of application submission. PLEASE be sure to answer all questions completely or it will delay processing, be sure to include vet phone#. If you have any questions please email DollysLegacy@aol.com. Please 'LIKE' our facebook page to learn more about our rescue, see more pictures & get updates on all our adoptable pets!